I bought this Kate Moss Top Shop frock at Buffalo Exchange after doing a small sell there last week. I took the store credit and only had to pay $2.00 out of pocket for it. Yes! I had every intention of wearing it to Saturday's Rock 'n' Swap, but yowzers! 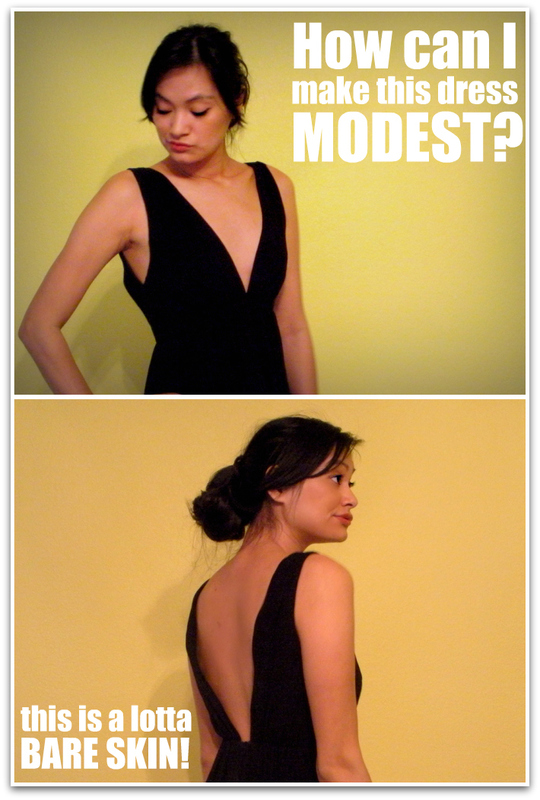 I tried it on again today, and I realized it is waaaaaay too scandalous for me to wear in public! The cut and fit of the dress is fantastic, and I love that it's made of crispy organza (one of my favorite fabrics), so I'd like your opinions on what I can wear with the dress to make it, well... less slutty. Y'all are really fashionable and have great opinions, so please leave your suggestions below! Capcoon-kah (that's how girls say "thank you" in Thai).